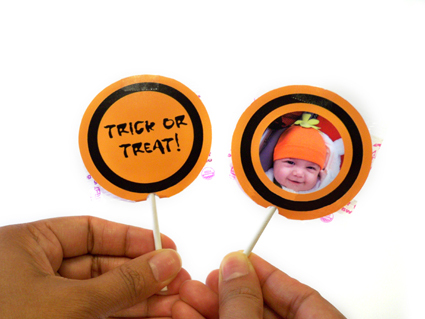 Download either the Halloween Message Lollipop pdf template or the Halloween Photo Lollipop pdf template. 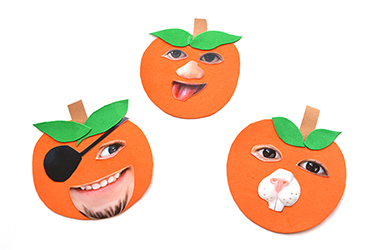 Select a picture and make copies at a KODAK Picture Kiosk. 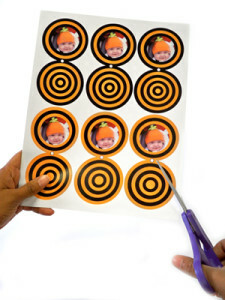 Cut the pictures into circle shapes and glue them on the template. Cut the Lollipop covers out with scissors. 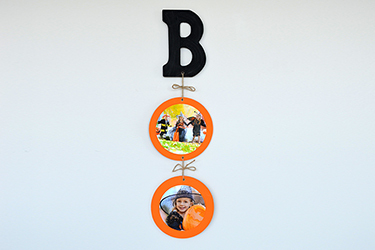 Punch a hole on each cover where the white dot is located. 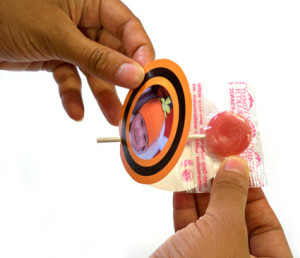 Place the lollipop stick through the hole and fold the cover in half over the lollipop. 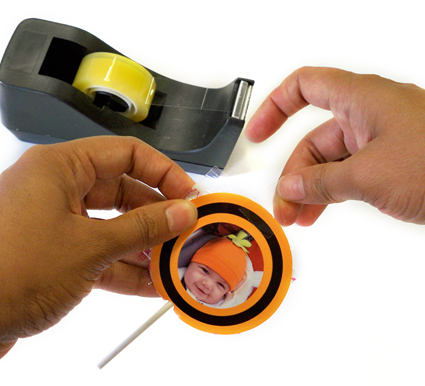 Use a small piece of transparent tape at the top of the lollipop to hold the cover on. 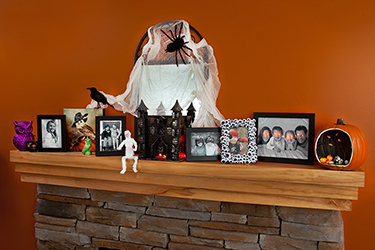 Your lollipops are ready for a spooky good time!